Our dark chocolate box brings you the ultimate in brooding dark pralines, caramels and truffles. 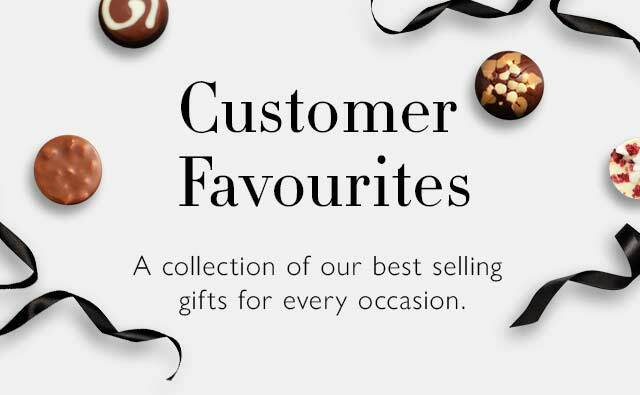 Treat yourself or loved ones to a luxury dark chocolate box. Our high-cocoa edit brings you the ultimate in brooding dark pralines, caramels and truffles. 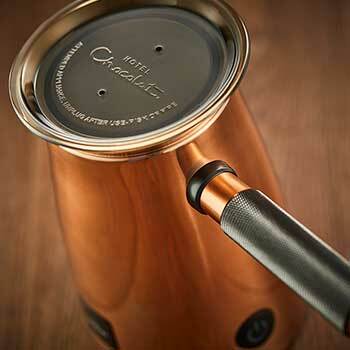 A petite version of our Serious Dark Fix Sleekster, it features 14 cocoa-rich recipes. ...eating 100g of chocolate every day for three months can counteract symptoms of sleep deprivation*… But only dark will cut it. To get a meaningful dose of brain-boosting flavanols. 155.00 g / 5.50 oz. Ingredients: cocoa solids (cocoa mass, cocoa butter), sugar, runny caramel (glucose fructose syrup, sweetened condensed MILK, half salted butter (from MILK), sugar, salt, emulsifier (SOYA lecithin), water), HAZELNUT paste, marzipan (ALMOND NUTS, sugar, water, invert sugar syrup), sweetened hazelnut paste (HAZELNUTS, sugar, emulsifier (sunflower lecithin)), HAZELNUTS, full cream MILK powder, butter oil (from MILK), ginger pieces (dextrose, ginger, glucose syrup, sugar), stabilisers (sorbitol, glycerol), glucose syrup, red wine, nibbed HAZELNUTS, gin, port (SULPHITES), whipping cream (cream (from MILK), stabiliser (carrageenan)), emulsifiers (SOYA lecithin, sunflower lecithin), cream (from MILK), neutral alcohol, organic cocoa powder, flavouring, skimmed MILK powder, concentrated whey (from MILK), natural colours (beetroot, carotene, annatto, anthocyanin), sea salt, MILK protein, essential oil (lemon), vanilla extract, Habanero chilli powder. Dark chocolate contains minimum 70% cocoa solids. Milk chocolate contains minimum 65% cocoa solids, minimum 14% milk solids. For allergens, including cereals containing gluten, see ingredients in BOLD. May contain traces of other tree nuts, peanuts, gluten, wheat, egg, sesame. Portion size: 2 pieces (approx. 22.2g). Pack contains 7 servings.